There's nothing like a sunny day in London to make me want ice cream. Unfortunately it's not that sunny today, but at least we've been blessed with sunshine between the showers in the last few weeks. 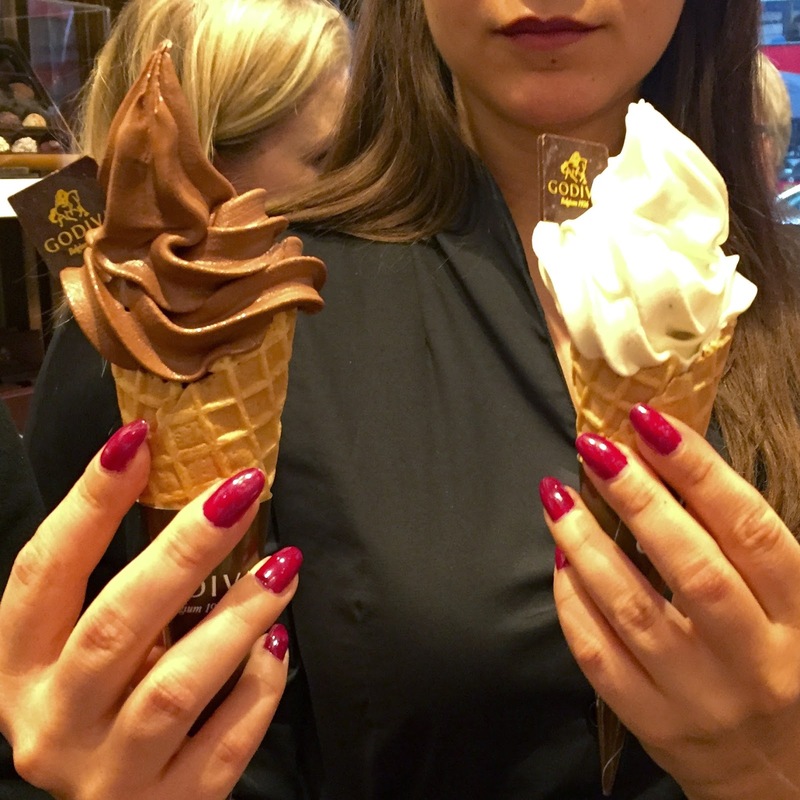 It was on one of these less sunny days that I popped into Central London to visit the Godiva chocolate shop on Regent St and try out their new soft ice cream parlour. 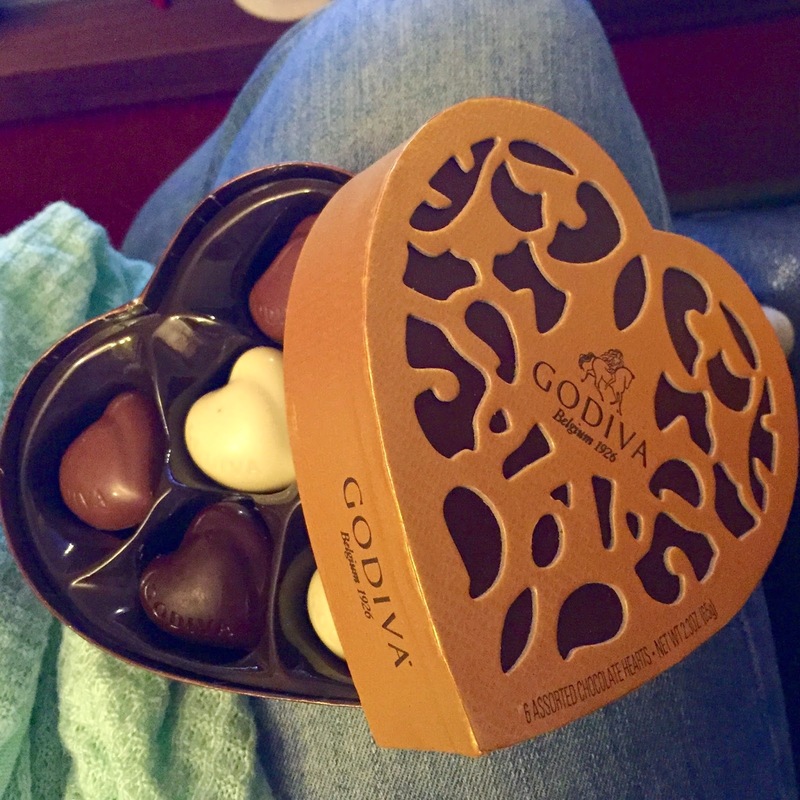 Godiva have always been a favourite chocolatier of mine - I adore their boxes of chocolates and they're the perfect treat for a special occasion. I was really excited to try their ice cream as I'm not normally a fan of chocolate ice cream - I like each of them separately but find the pairing together too sweet - however, this all changed when I tried the Godiva chocolate ice cream. It is rich and decadent but it tastes of real chocolate, not saccharine sickly sweetness. 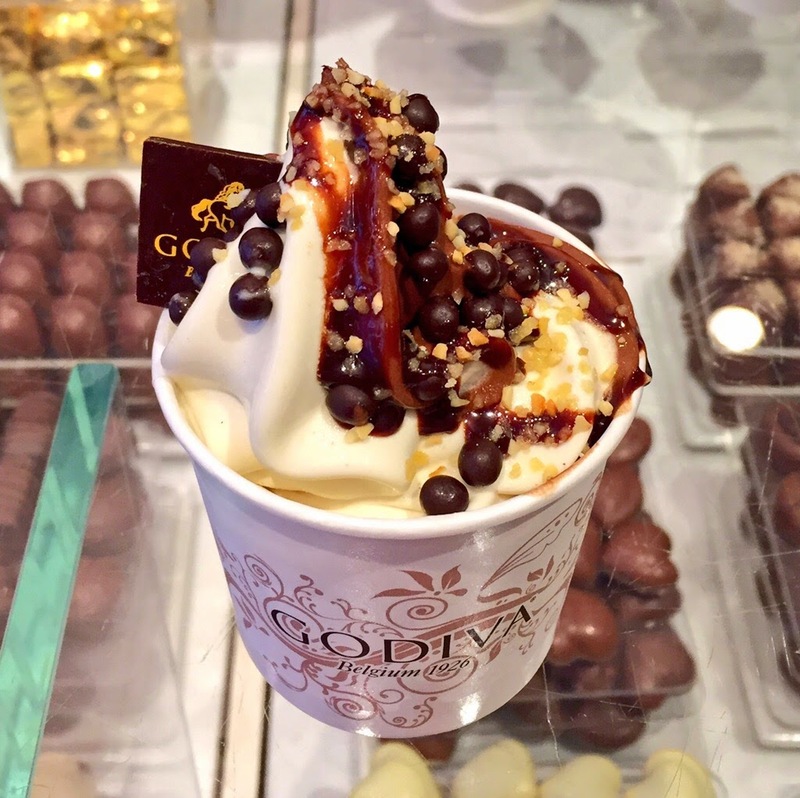 The Godiva ice cream parlour allows you to add your own toppings to your ice cream of choice - dark chocolate or vanilla (we tried both, both were delicious). Toppings include milk, white or dark crispy pearls (like mini malteasers), chocolate syrup, chocolate flakes or bresilienne (a caramelised hazelnut crumb). You can choose between a cone or a cup (I always go for the cup - cones are too messy) and prices start at £4.50. 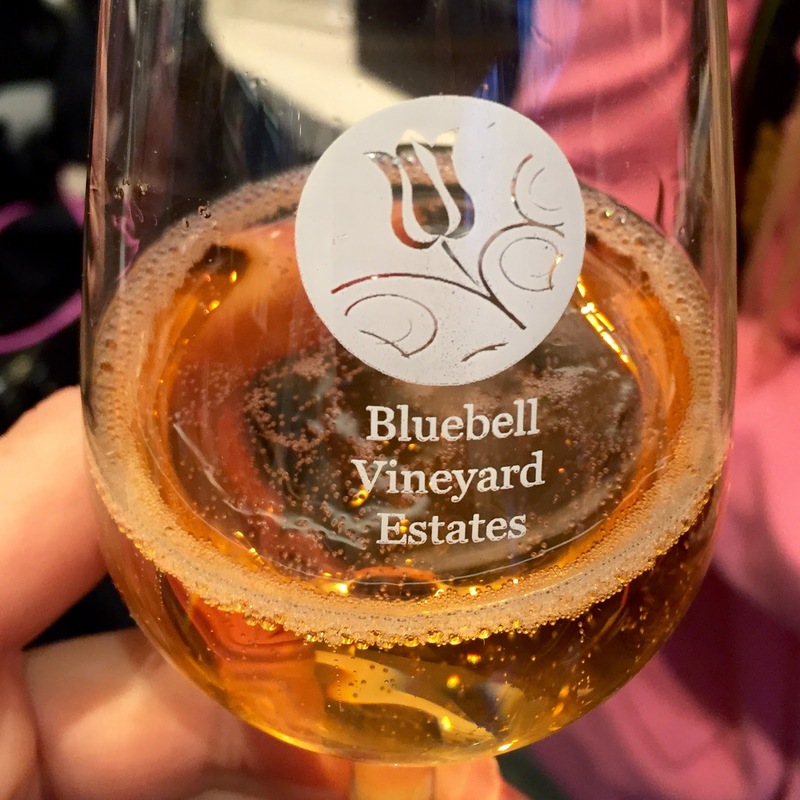 We washed our ice cream treats down with some wonderful English sparkling wine from Bluebell Vineyard, who are based in Sussex. It was lovely and dry and a great alternative to champagne. I'm looking to work this into my cocktail menu at my pop ups over the summer so look out for those. 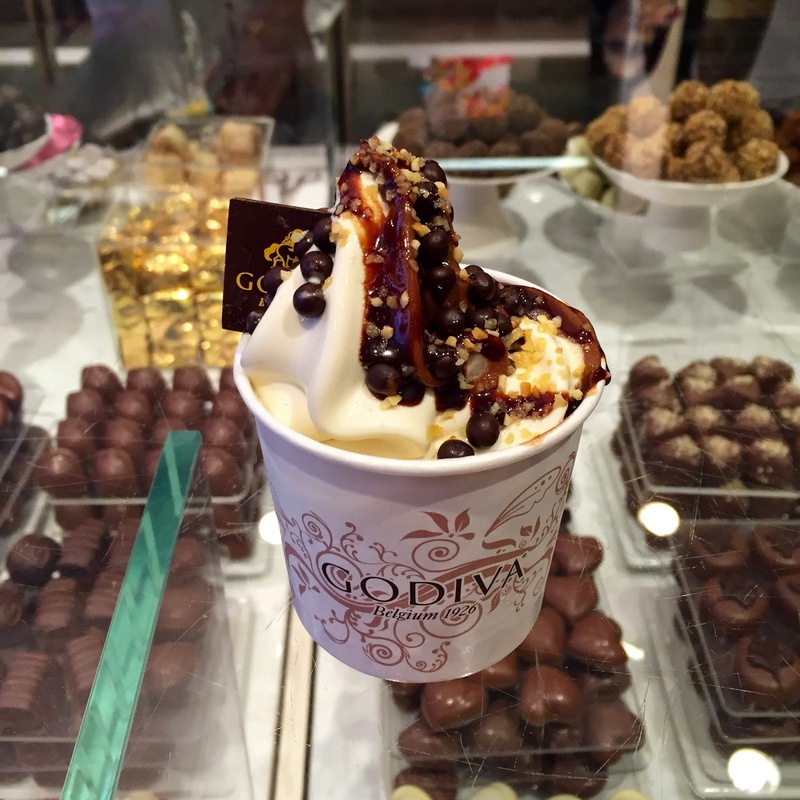 Godiva ice cream is available at their chocolate shops, a full list of which can be found here. Shame I couldn't make it or I'd have seen you there. 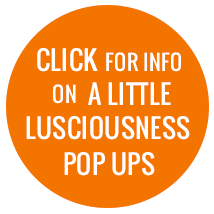 What a nice idea to serve the Bluebell sparkling wine at your pop up - we loved our experience! Next time hopefully Suze! I know, I'm hoping to use it in the cocktails.... watch this space! So nice to see you too! Life's still pretty busy.... as always! !